Six years after their seeing investments wiped out, clients of All Invest are finally on the verge of being refunded, with the Financial Arbiter having cleared almost two dozen cases in 2018. Since the company has no money, refunds must come from the Investor Compensation Scheme, which said in its 2017 accounts that it anticipated that €700,000 would have to be paid out to eligible claimants. Claimants, however, will only receive a maximum of €20,000 each. Most of the cases handled by the Arbiter fall within this threshold, but at least seven cases involve higher amounts, with the largest being for €175,000, albeit for multiple individuals. Problems with the financial advisory firm – which was set up in 1997 – first became evident in 2012, and clients soon began to fear that they would lose all their savings. Clients became even more concerned when director Wallace Falzon sought to declare bankruptcy, which they feared would prejudice their rights. Twenty-nine of them had objected to this, with the court subsequently hearing how one couple had lost savings they wanted to use to pay for their disabled son’s therapy and another lost money they had inherited from their daughter, who had died at the age of 30. All the clients had testified that they had been guaranteed a safe investment with capital guaranteed, but in reality were led to invest in products that had “very serious problems”. 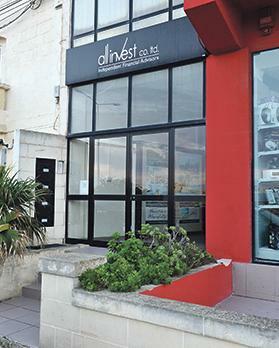 The Malta Financial Services Authority had stepped in early on. In June 2013 it suspended All Invest’s investment services licence, stopped it from accepting new business and ordered it to begin an orderly transfer of its clients’ business. The authority said investigations showed that All Invest “failed to act in the best interest of investors as required of all firms which provide investment services”. The MFSA had also reacted when Mr Falzon filed for bankruptcy, instructing All Invest to delay the winding up of its business “until the transfer of clients’ holdings is completed in an orderly manner; until any pending complaints or court proceedings against it are determined by the courts and until the authority is satisfied that arrangements are in place for a proper safeguard of the company”. Mr Falzon had then gone to the Constitutional Court to complain that delaying the liquidation was a breach of his fundamental human rights, but without success. By October 2017, it was clear that the company was not going to be in a position to do anything about the claims. The MFSA put the Investor Compensation Scheme on notice that due to its financial circumstances, All Invest would not be able to – ‘for the time being’ – meet its obligations arising from claims by its investors and that it had no foreseeable prospect of being able to do so. Once the Financial Arbiter was appointed, the claimants had turned to him seeking resolution. The funds in question had been invested in the LM Managed Performance Fund, which was run by an Australian fund manager, but which was not regulated. It had been set up in 2001, offering interest rates of around 7 per cent, aimed at ‘wholesale’ or sophisticated investors in Australia. The first signs of trouble surfaced in 2009, before the fund was ‘sold’ to the clients in Malta, according to information in the Arbiter’s rulings. It was eventually shut down in 2014.